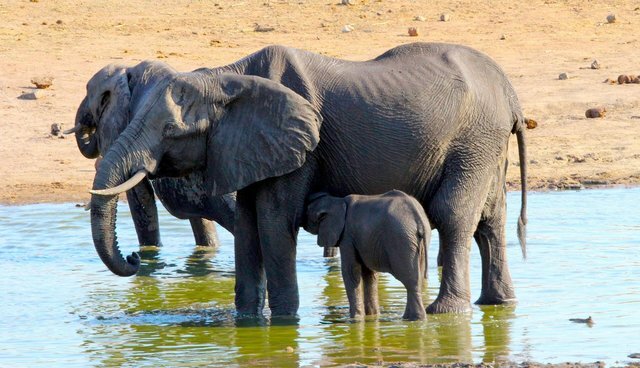 The Zimbabwean government's desire for cash is resulting in the capture of baby elephants for export to China and other nations, according to many reports. Dozens of babies were captured and removed from their families late last year, and of those, one has reportedly died. While the country denies exporting the babies to China, it did confirm capturing the elephants for export to the United Arab Emirates, and it points out the exportations are legal under the Convention on International Trade in Endangered Species of Wild Fauna and Flora (CITES). Conservation activists, however, insist the exportations are highly unethical and destructive to the animals. "For elephants, being held captive for decades in a circus or in the majority of the world's zoos is gruesome. 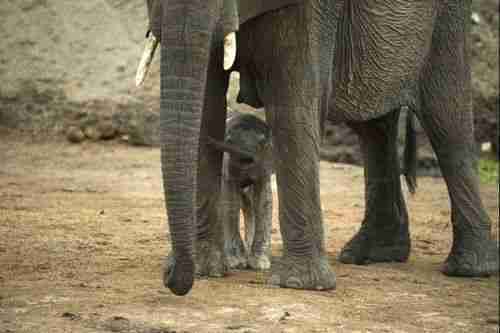 It's a fate worse than death," Joyce Poole of Kenya-based Elephant Voices told National Geographic. The recent uproar began with a report from the Zimbabwe Conservation Task Force in late November that at least 34 baby elephants had been captured inside Hwange National Park, along with seven lions and ten sable antelope. The elephants, aged 2½ to 5 years old, were still physically and emotionally dependent on their mothers and highly vulnerable without them. Elephants live in extremely social societies, and separation from the group is traumatic. 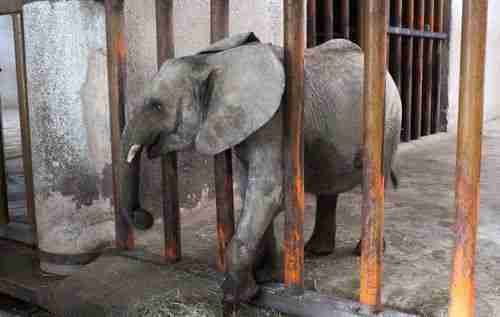 The South African Times reported late last month that up to 100 baby elephants face exportation from Zimbabwe to China, and that of 27 captured babies in one area, one had already died. "They are all destined for China, these 27," Mel Hood of the Independent Veterinarians for Animal Welfare told the Times. "Nobody seems to know when they're going, but apparently they will be flown out directly from Victoria Falls." Saviour Kasukuwere, a Zimbabwean environmental minister, told National Geographic that no exports to China were authorized. Kasukuwere told the Telegraph that the country did capture the babies for export to the UAE, saying this was normal "from time to time." The UAE confirmed importing baby elephants but, adding to the confusion, it said they were not from the wild and had been living in captivity for years. The Telegraph also reported obtaining photos of baby elephants being kept in wooden pens in western Hwange National Park, and that they were being maintained by the country's parks authority. Where exactly the elephants are going, and whether these were the only captured elephants during this time frame, is unclear. Along with the Times of South Africa report, conservationist Daniel Stiles reported that a zoo in Guangzhou, China, intends to import 50 elephants from Zimbabwe. CITES told National Geographic that Zimbabwe had not informed the organization about plans to export elephants. The exportation of elephants has been going on for many years. According to the database kept by CITES, 640 African elephants and 424 Asian elephants have been exported globally in the last two decades. The Zimbabwean government, led by President Robert Mugabe, is clear about its desire to gain financially from the export of wild animals. Masvingo Governor Titus Maluleke went on record last year saying, "We are not interested in wildlife ... we want cash."